Enter our contest to win a Vancouver-Xiamen/Asia round-trip ticket! ONE Vancouver-Xiamen/Asia Round-Trip Economy Class ticket with a non-redeemable cash value of CAD2,000.00 (Canadian Dollars Two Thousand only), courtesy of Xiamen Airlines. The ticket can ONLY be used by the winner on Xiamen Airlines operated flights. Ticket is not including payable tax and fuel surcharge around CAD 360-450 subject to ticketing date quoting. Ticket cannot be redeemed or refund for cash and rerouted. Ticket can only be used by the winner between 01 Aug, 2018 and 31 Aug, 2019 with blackout for outbound in June, July and December and inbound in August and September. 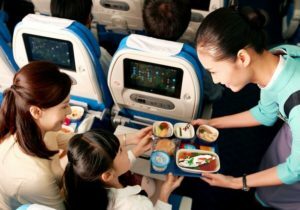 Ticket must be confirmed according to seats availability by Xiamen Airlines Vancouver Office one months prior to your travel date via yvr@xiamenair.com/604-620-1668. To find applicable destination cities, please visit Xiamen Airlines official website and refer to cities under “International/Regional – Asia” and “Mainland China” tabs.